When it comes to food, I have always had a strong preference for freshness and quality, that's why I buy food from local growers whenever possible. It also supports the hard-working local farmers and craftsmen, and helps country towns to prosper. 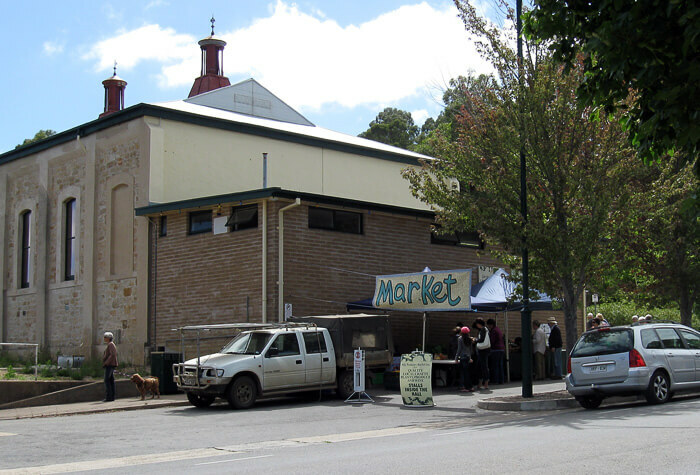 Uraidla Hills Producers Market is one of my local favourites. 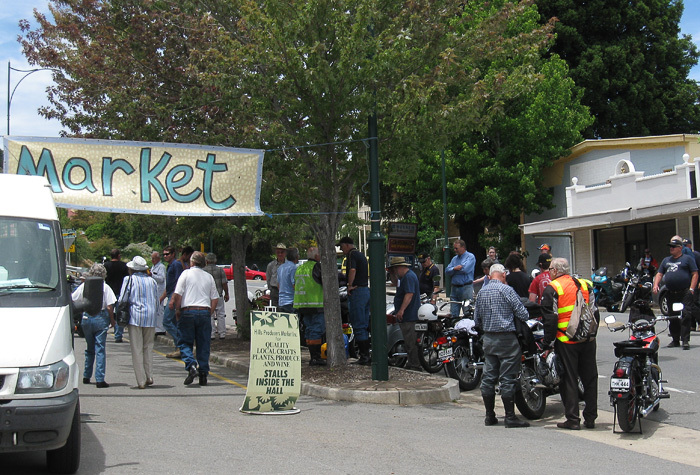 The market takes place in the Old Uraidla Institute on Greenhill Road, South Australia, on the first and third Sunday of each month, 10:00–15:00. It is a small market, but it offers a good range fresh fruits, vegetables, berries, oils, eggs, wines, jams, plants, skin care products, knitwear and crafts. There are also homemade cakes and biscuits with tea and coffee, and a barbeque. Considering that it is only a short and picturesque drive from Adelaide, it is well worth the trip. 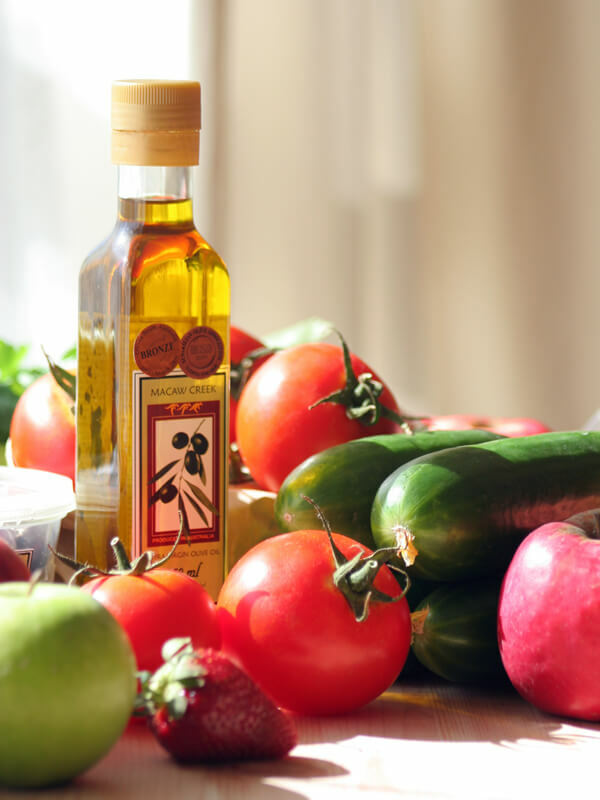 Adelaide Hills produce: olive oil, olives, tomatoes, cucumbers, strawberries and apples. Smells fresh, looks tasty and tastes delicious!